There will undoubtedly be financial crises in the future; but will the next one be as acute as the last? We believe the financial system today is as risky as it was in 2007, if not more. The difference we see is that the policy tools used to extinguish earlier crises by lowering rates and raising liquidity, have been largely used up. The next crisis is shaping up to be bigger than the last one. Most investors seem to think the 2007-­‐9 crisis was a “once in a lifetime” event. They are right that the last crisis was different from the ones that preceded it. In the last twenty-­‐five years there have been a number of crises: black Monday, Savings and Loans, Mexican debt, LTCM, Asian debt, Russian debt and Dot-­‐Com. None of these did as much damage to the financial system as the 2007-­‐9 crisis. Unfortunately, investors may soon find out that such events can occur more than once in a lifetime. A crisis is an acute manifestation of a fundamental problem, just as a heart attack is an acute manifestation of heart disease. The fundamental problem behind the crisis of 2007-­‐9 was too much debt. For the last forty years, debt has subsidized Western consumption; borrowers, public and private, have all spent beyond their means. We will leave the discussion of why consumption subsidies have become necessary for another time and would only point out that the reasons are structural and not likely to be reversed in the near term. The man saved from a heart attack still has heart disease and now, five years after our financial heart attack, the national debt has doubled. We submit that financial heart disease lingers. Whereas most people would accept painful treatments in order to get well, most debtors eschew financial pain and run out the clock until their access to credit is cut off and they have no choice but to face the music. In the case of sovereign debtors, it takes a long time to lose market access but once confidence collapses, it is too late to protect portfolios. 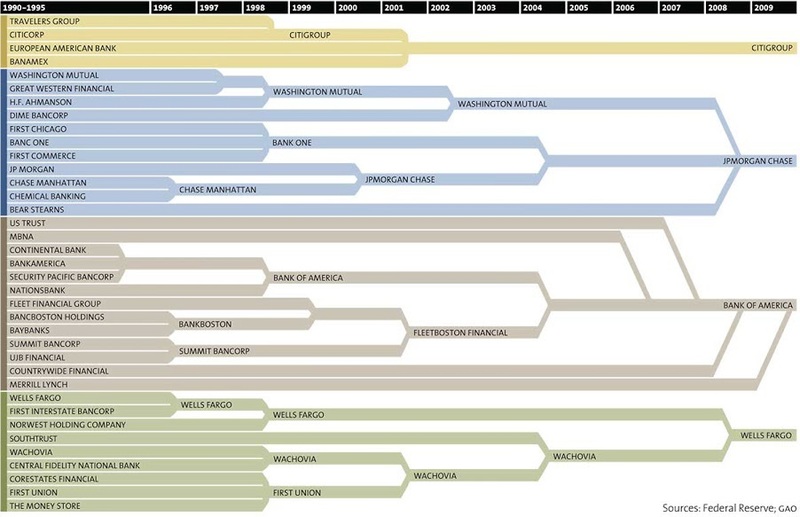 What made 2008 special was the convergence of three risks -­‐ leverage, systematic mispricing and over-­‐concentration. The biggest problem was that these risks all shared the one defining measure of catastrophic risks – ultra-­‐high correlation. First, global debts are now $100 trillion, an increase of 40% since 2007. More interesting, however, is the fact that despite much higher debts, yields, i.e. the cost of financing, are near the all time lows. Second, systematic mispricing is known as “model risk”: the uniform application of wrong assumptions. A common example is extrapolation. Before 2007, house prices were increasing; mortgage valuations models assumed house prices would increase forever. Once assumptions changed, the entire mortgage market re-­‐priced. This would have been bad enough without leverage but mortgages served as collateral for massive borrowing and, on top of that, their prices were being used as reference points for pricing trillions of dollars in mortgage derivatives. The derivatives supposedly “reinsured” the risk but, in reality, subprime risk 2 remained on the balance sheets of a few institutions that have come to control the vast majority of the banking business. The crisis started in the early summer of 2007 with the collapse of two Bear Stearns’ mortgage funds but neither investors nor regulators understood new systemic correlations and believed that “subprime was contained.” We now know what happened last time but where are we now? Unfortunately, we are not in a good place. Today, all financial assets are valued with discounted cash flow models. These make assumptions about future interest rates and cash flows. Suppose one doesn’t know when interest rates or cash flows will change; one extrapolates. Today discount rates are at record lows and corporate earnings (cash flows), both current and projected, are at record highs. Third, the financial intermediaries that were “too big to fail” are bigger than ever and concentration in the financial system is at an all-­‐time high. Finally, there are about $700 trillion of derivatives outstanding (same as in 2007), which is almost 10x global GDP. To recap – since 2007, model-­‐based, systematic mispricing has come to encompass all financial assets, overall leverage has increased, cost of financing has plummeted and risk concentration has soared. No lessons have been learned, no problems have been fixed, and systemic risk has risen whereas the toolkit for dealing with the next crisis has diminished. Taken together, leverage, model risk and the too-­‐big-­‐to-­‐fail problem have, in our view, make correlations across all traditional asset classes dangerously high. This brings us to gold. After peaking in 2011, as systemic fears subsided, and struggling through a 28% decline in 2013, gold looks to have found a solid footing in the $1,200-­‐$1,300 range. Gold happens to be the only asset these days on which there is consensus: the vast majority of Western investors hate it. In a recent conversation, a fellow manager involved in gold described European investors’ attitude towards bullion and mining shares as “revulsion.” Gold is now as widely dismissed as shorting subprime was in 2005-­‐2006. For some contrarian 3 souls, this would be reason enough to get involved but we see a substantive and positive case for gold. In the first place, physical gold held outside the financial institutions is the ultimate umbrella insurance against systemic risks – it is not a financial asset, does not rely on the financial system and enjoys global liquidity at transparent prices. A properly managed bullion holding can fulfill the function of a bank or money market account and do so without exposure to the banks, currencies and capital markets. This is why all central banks own physical gold reserves and why the US holds its gold outside the banks – at Ft. Knox and West Point. Gold bullion is equally compelling as a cheap, perpetual out of the money systemic volatility option with an asymmetric payoff profile. Unlike securities and derivatives, including those linked to gold prices, bullion would never expire worthless and has no counterparty or other financial risks. Throughout history and in every recent crisis, gold has been a reliable barometer of confidence in financial markets, governments and their currencies, rule of law and property rights. Since confidence can be lost for a number of reasons, gold’s performance is not tied to specific outcomes, as is the case with financial hedges, which only profit from the price movements of given instruments and, therefore, have basis risk. Finally, bullion is attractive at current levels because investors’ rejection of gold speaks to pervasive complacency, which is always the time to buy volatility cheaply. The bullion has been flowing East and, as the physical supplies available in the West continue to decline, the upside asymmetry of the next move is only getting better. Since annual mining production is both limited and inelastic, gold supply is a function of the willingness to sell by the current holders. Whenever confidence declines sharply, demand soars as those who do not own gold rush to buy while supply collapses as those who do own it become afraid of selling. This is a powerful dynamic that gives gold lot of optionality -­‐ even without leverage, a little can go a long way. TBR is an institutional professionally managed commercial solution for sourcing, securely storing and selling gold without dependence on financial counterparties and capital markets. We offer professional management, transparent reporting, strong controls and customer service expected in asset management but not available in existing commercial services.